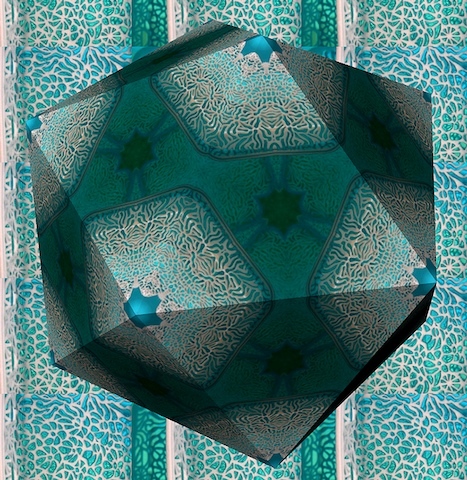 For another project, I was looking into everyday examples of hyperbolic form like the curls of a lettuce leaf or the shape of a saddle. 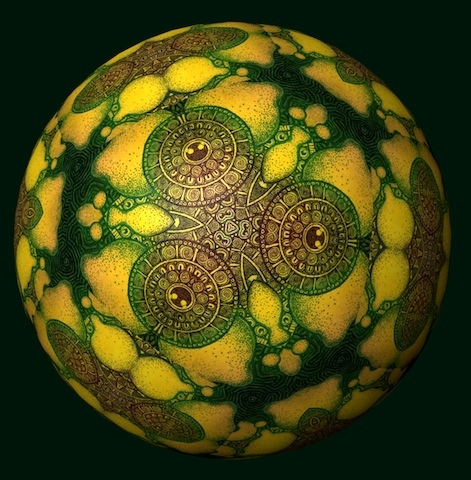 It is also found in the shape of White Scroll algae, a Caribbean seaweed that tends to grow on rocks and old coral boulders in the shallow surf close to the beach. 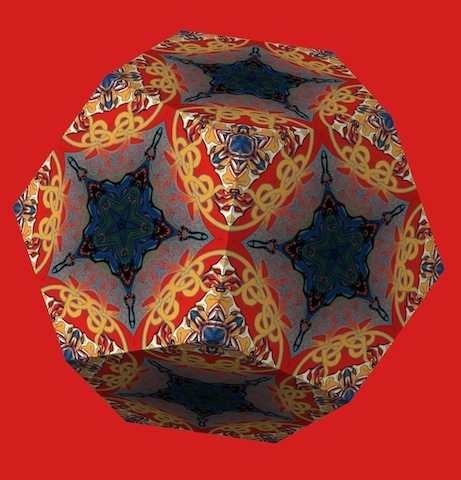 Intrigued, I researched three-dimensional renderings of all these fantastic, non-Euclidean mathematical shapes that exist in hyperbolic space. 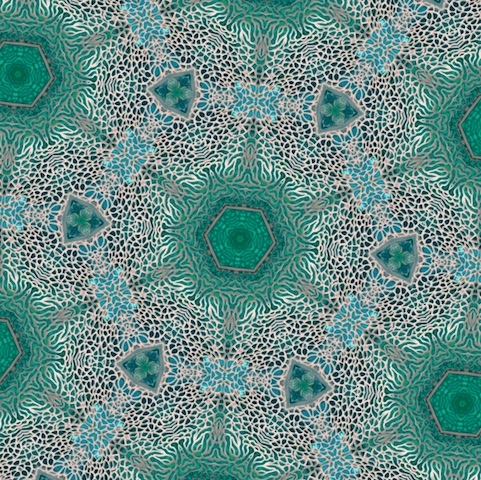 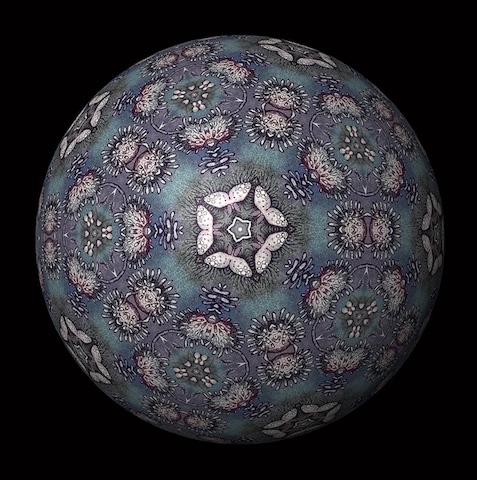 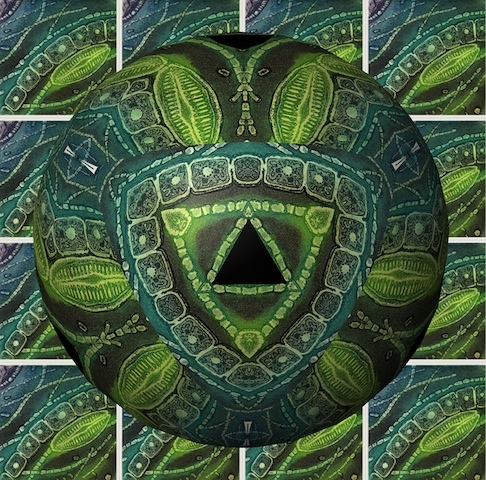 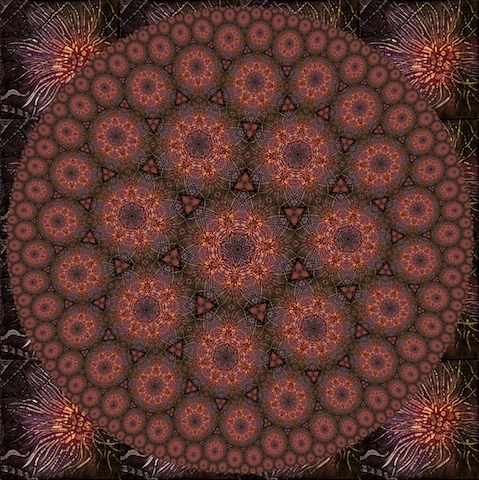 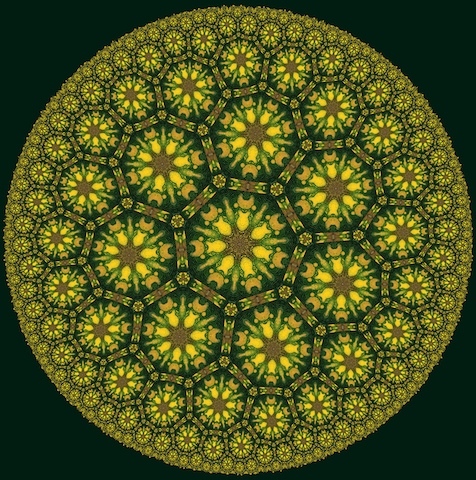 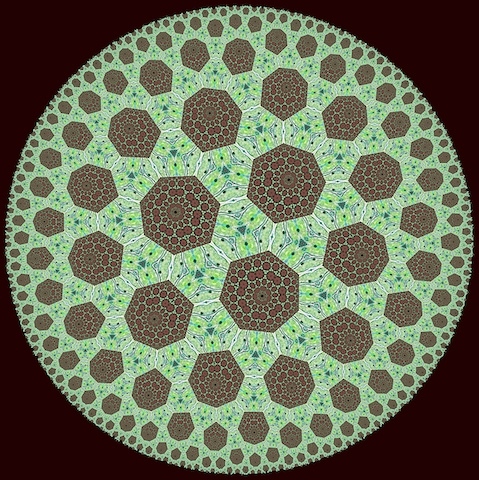 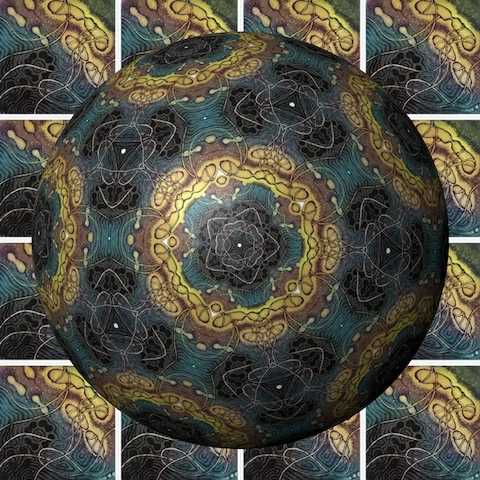 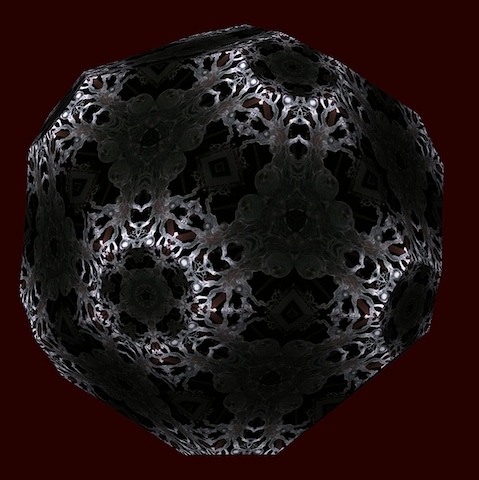 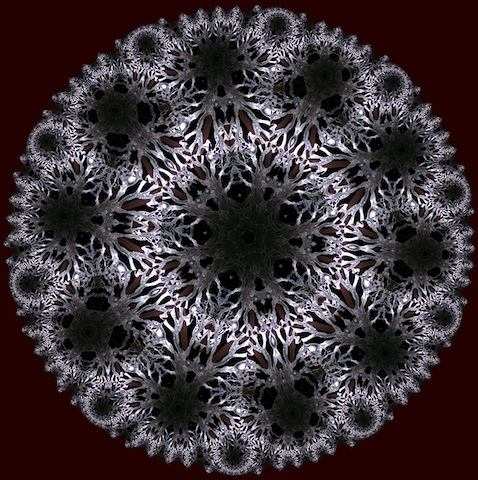 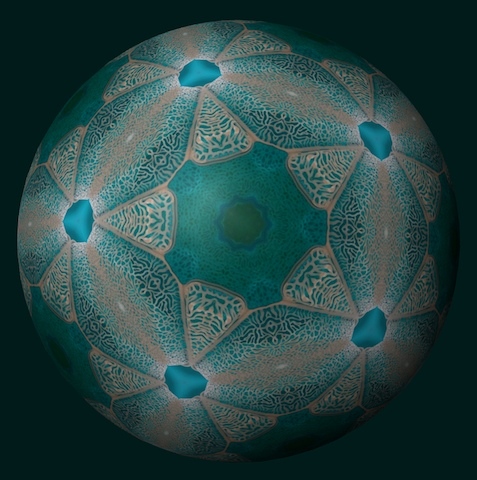 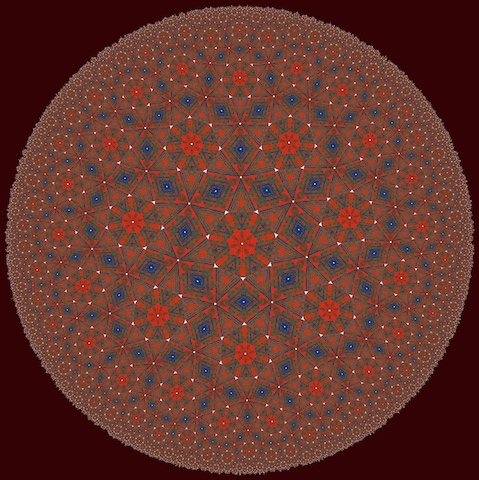 In my search, I encountered a freeware computer program, which allows the user to manipulate geometric solids, tiling kaleidoscopic images and also create the Poincarré-disc, which is a two-dimensional model of the hyperbolic plane. 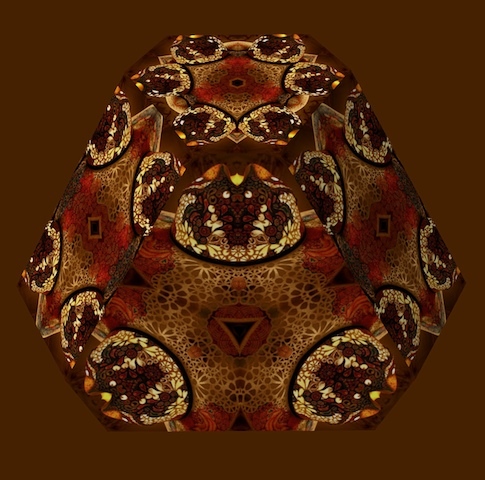 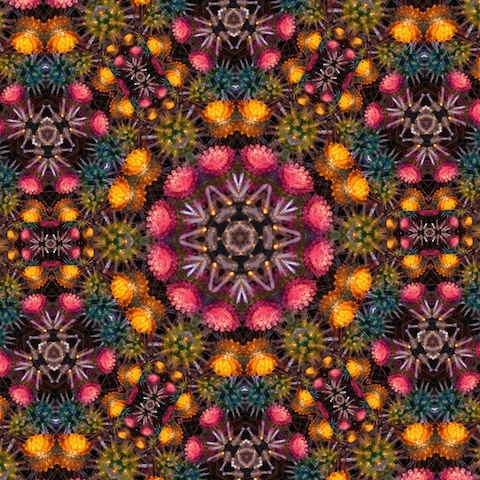 Through this program I converted digital images of my own bacterial-art into mathematical solids and kaleidoscopic figures. 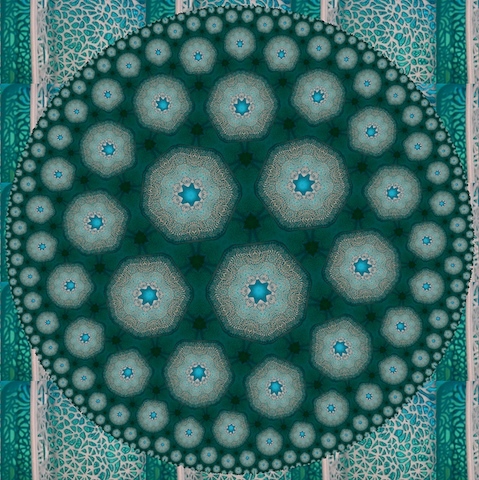 The manipulation transported images of hand-drawn, physical prints and objects into both the virtual and hyperbolic space. 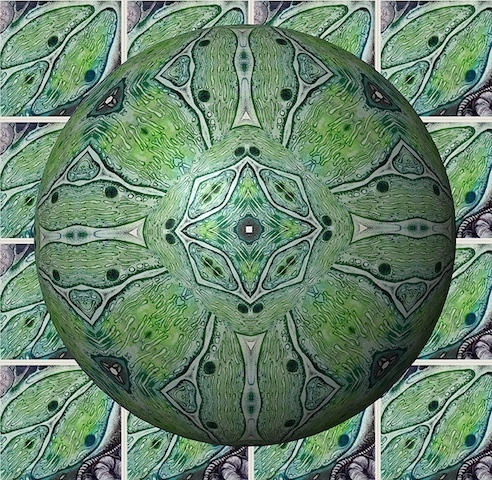 Further digital manipulation of resulting images can continue on endlessly, extending the possible variations infinitely. 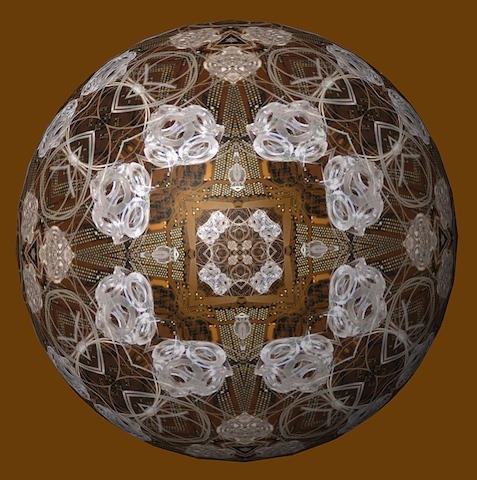 This begs the question what the piece of art finally is: the original piece, its digital image or the probability of all the possible variations? 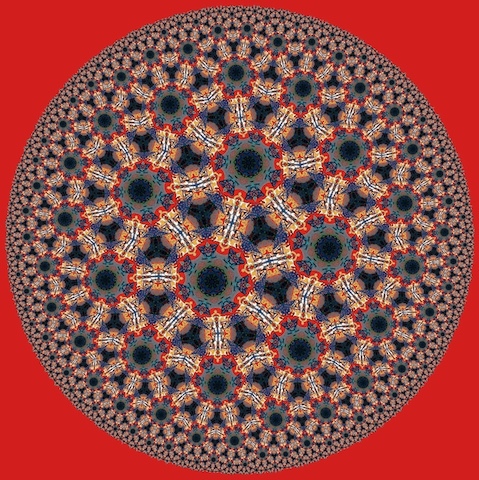 What better mathematical form to express this issue than the Poincarré-disc, which is a two-dimensional depiction of an image endlessly extending, but never reaching the edge of the circle into infinity?